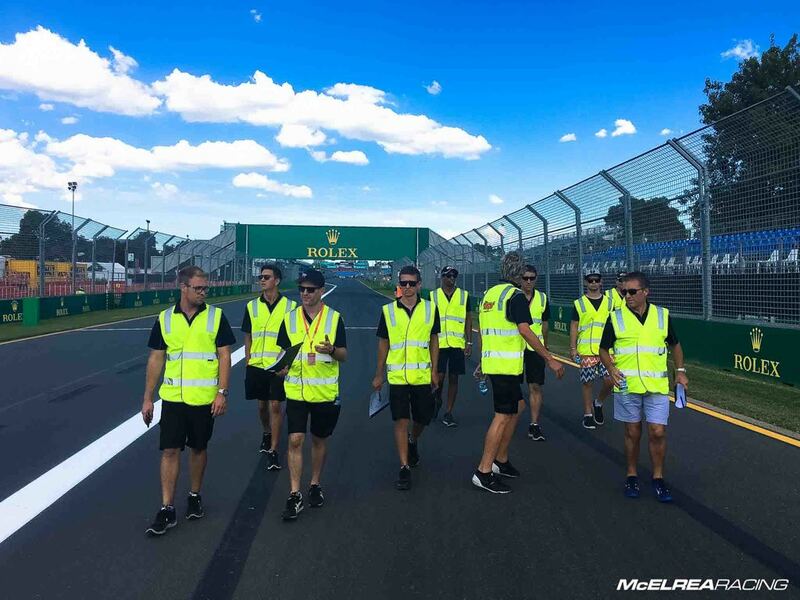 We look forward to the Australian Formula-1 round for two reasons... First, the Albert Park circuit is smooth and fast and has been pretty kind to us over the years and second, it's just awesome to see the new season's F1 cars at their first event. Our Australian GT guys had some confidence and momentum after Wallsy's win in race 3 at Clipsal and Simon's great debut in the Audi while our Carrera Cup guys were looking forward to the continued progress of James Abela and Duvashen Padayachee and pushing Shane and Matt nearer to the front of the 'TAG Heuer Challenge' and 'Pro' championships. It almost went according to plan! MR 'Works Driver' Warren Luff walks the team around Albert Park circuit giving the drivers and engineers a run-down along the way. 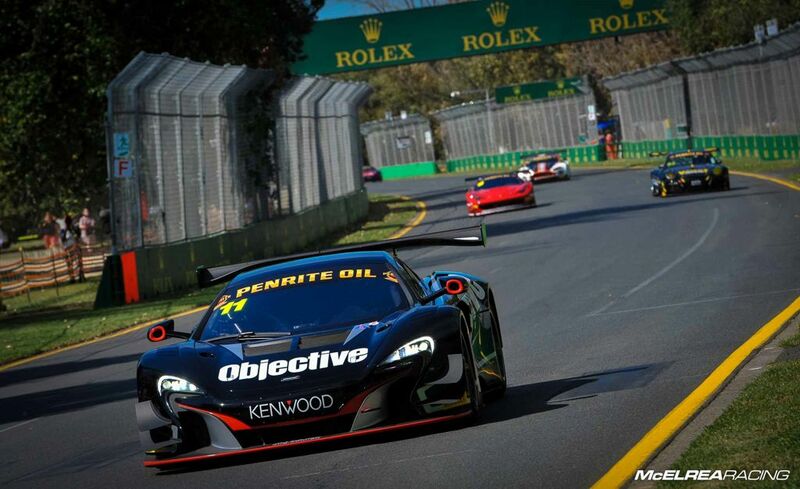 After minimal track time for the AGT cars due the tight TV schedule, Tony was focused on building confidence in the extremely high speed corners of the Albert Park circuit and had a relatively quiet race 1. In race 2 he made good progress finishing 3rd in 'Gold Drivers Cup' class. In race 3 the mighty McLaren suffered an electrical glitch which cut the traction control and threw the car into the fence on cold tyres. There was minimal damage, but it cost us valuable championship points. 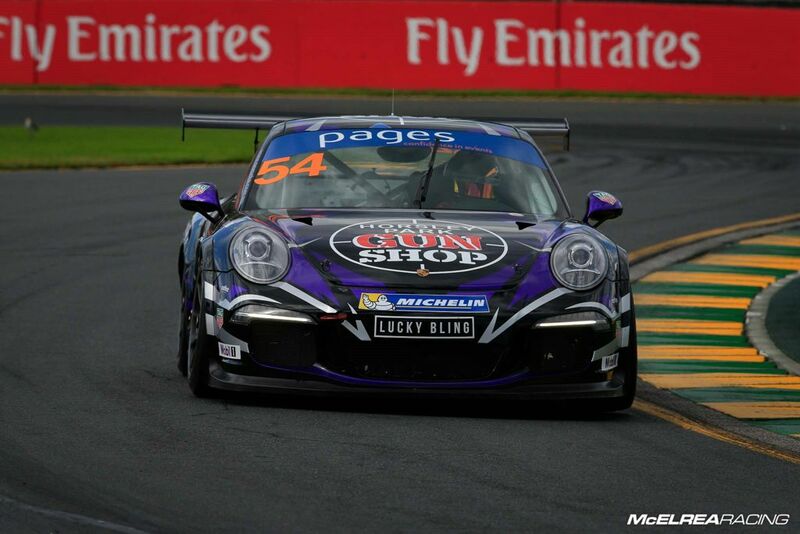 In race 4 Wallsy had a great race with MR team mate Tim Miles to be among the top three non-professional drivers on track. It was a bonus to finish an amazing 3rd and 4th courtesy of the unusual AGT parity time penalties. Still, we'll take 'em however we can get 'em! After minimal track time Tony was focused on building confidence in the extremely high speed corners of the Albert Park circuit. 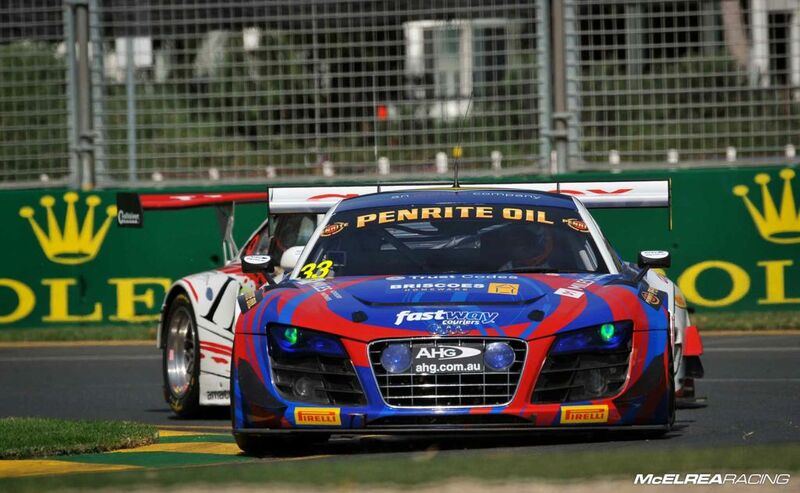 Simon shared the new Fastway Couriers Audi R8 with MR team mate Tim Miles at the AGP. Both drivers were severely hampered by a lack of track time each having only done 7 laps before they started their first race. Simon was under strict instructions not to be too brave in race 1 – it was all about learning how to tackle the fast and flowing grand prix circuit. In race 2 Tim was under similar instructions to get valuable track time and experience in the Audi and he finished 18th. In race 3 Simon got to complete 1 lap before a long safety car period followed by a one lap dash to the finish. Despite limited laps, Simon learned plenty about some of the idiosyncrasies of these powerful 'aero cars' including the strategies for managing tyre and brake temps. 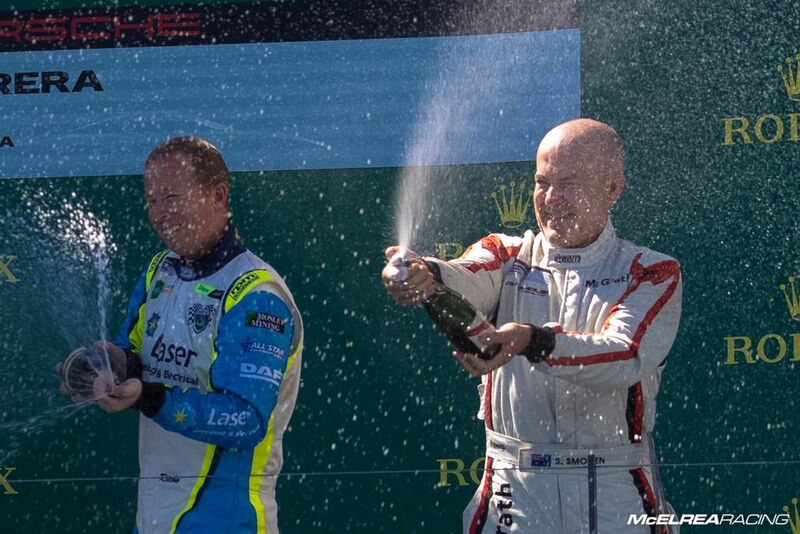 In race 4 Tim had a great race with Wallsy to finish 4th outright. Despite limited laps Simon Ellingham gained some valuable exerience in the new Fastway Couriers Audi 'R8 LMS Ultra'. Shane wasn't feeling very well on Thursday so he was happy to play it smart and bank the 4th place points rather than take any unnecessary risks. 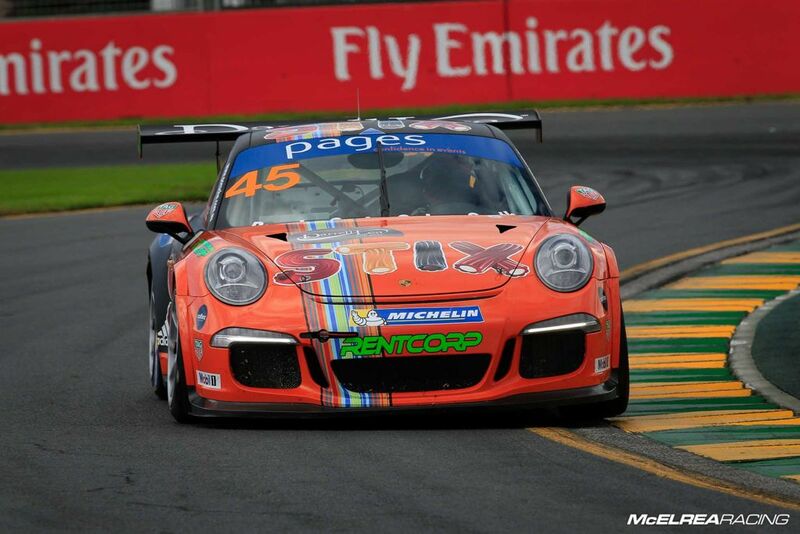 In race 2 he made good progress to finish ahead of the 'Tag Heuer Challenge' championship leader Tony Bates. 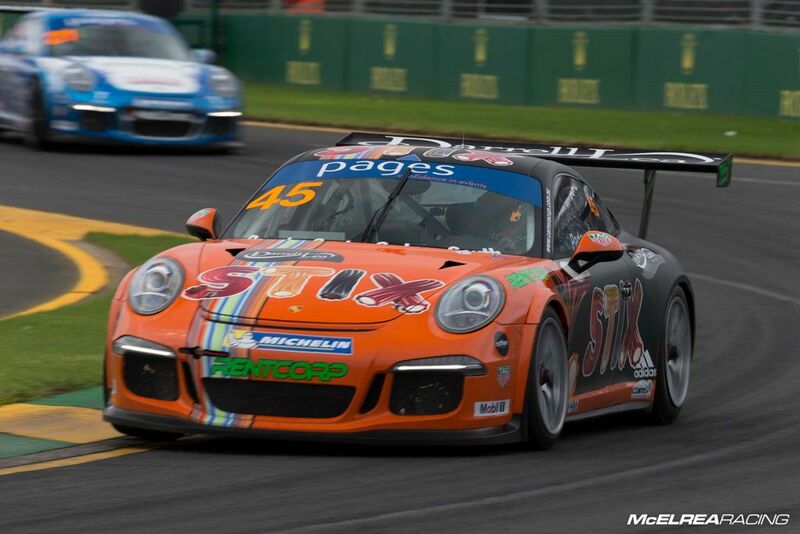 In race 3 Shane was taken out by an ambitious back-marker into turn 1 on the first lap damaging his front suspension. Race 4 went much better with a good start and opening lap followed by Shane relentlessly chasing-down and passing Grove to win the 'Tag Heuer Challenge' race. Despite the undeserved DNF in race 3 Shane still managed third for the round earning himslef another visit to the podium and lifting his points to 4th in the championship which was a just reward for his efforts. 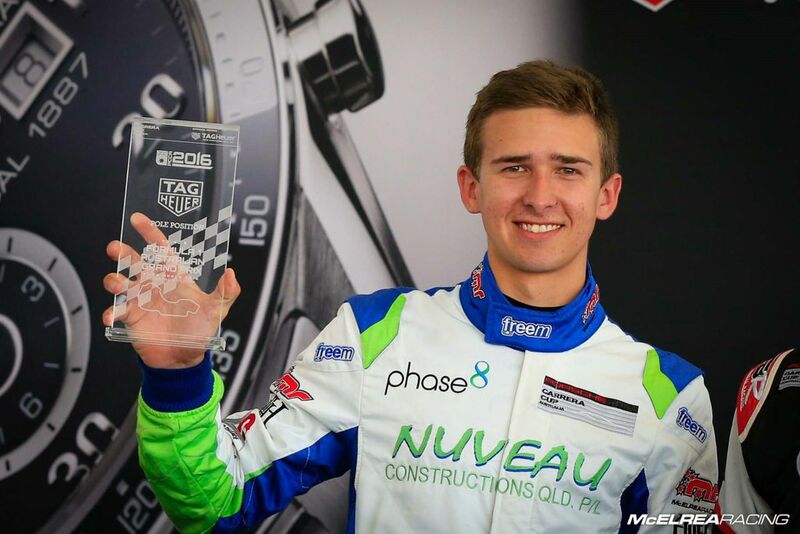 Matt's weekend started as well as possible with him claiming pole position with him dominating an uneventful race 1 with a 'lights to flag' victory and fastest race lap. In race 2 he dropped to 3rd at the start, but did a great job to re-pass McBride then Davison to retake the lead, but was first to arrive at turn 1 after a rain shower and ran off allowing McBride and Davison past before a safety car was called out to control the race. Race 3 was quiet with older tyres than the other front runners, finishing 4th. In race 4 he had winning pace but clipped tyre bundle dislodging the front spoiler which created some bad understeer and lead to a frustrating 5th place. 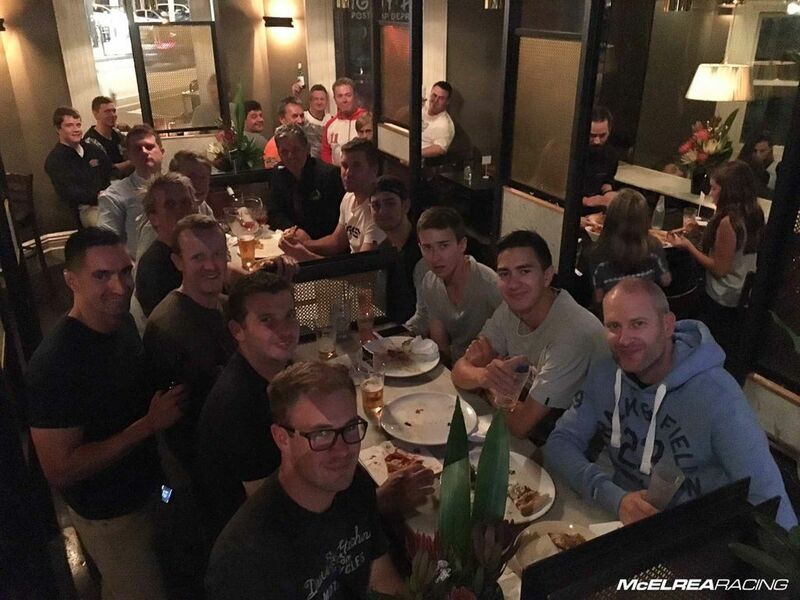 Matt left the Australian GP equal 2nd on points in the championship. Duvashen started the weekend with a solid job in qualifying followed by an excellent performance in race 1 progressing from 9th to finish 7th. Race 2 was a case of 'what could have been', with Duvashen doing an outstanding job to get himself up to 4th place until the rain started. Like team-mate Campbell, he went off in the rain costing him 5 spots dropping him back to 9th. Race 3 was a quiet affair but race 4 was a far better result with him chasing Almond hard for most of the race and making the pass on the last lap for 7th. Duvashen is running 10th in the Pro championship but only 71 points off the top 5, which where we are aiming to position him by the end of the season. 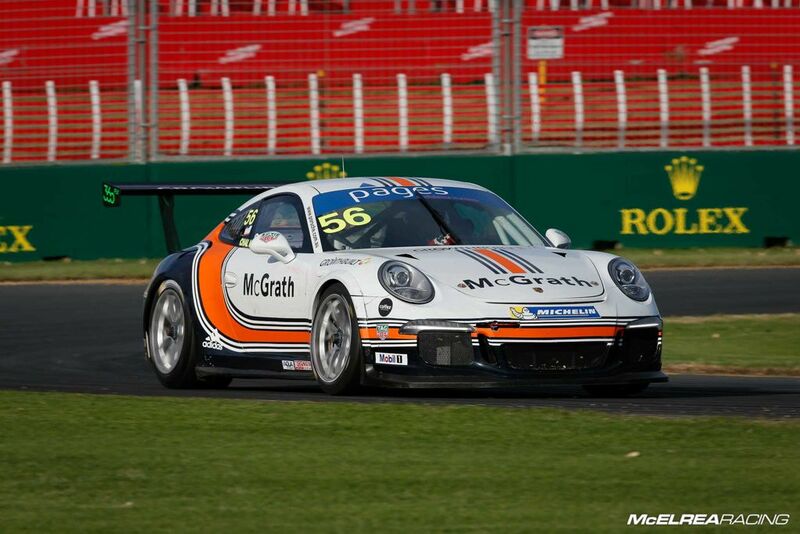 In race 1 James started 10th and had an excellent drive taking two places and managing to lead Carrera Cup champion and Bathurst 1000 winner Steve Richards for 5 laps until Richo got by in the tricky damp conditions. 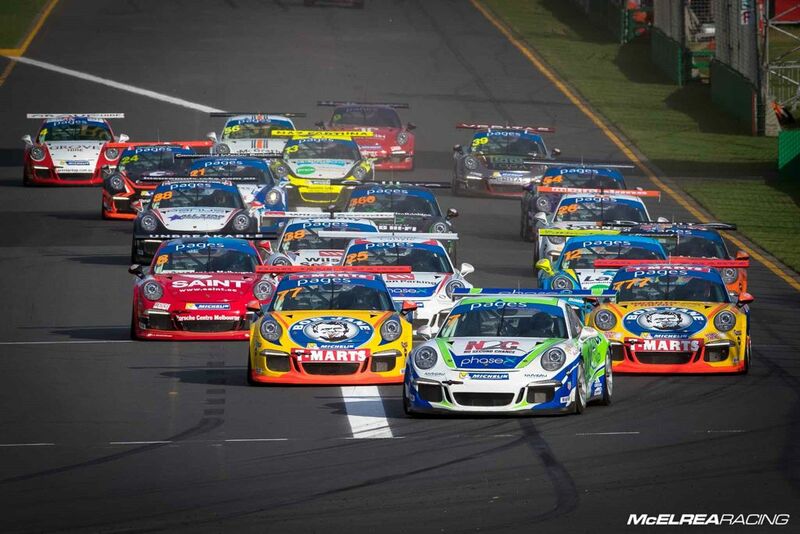 In race 2 he started 10th, dropped to 11th and worked his way back to 8th. 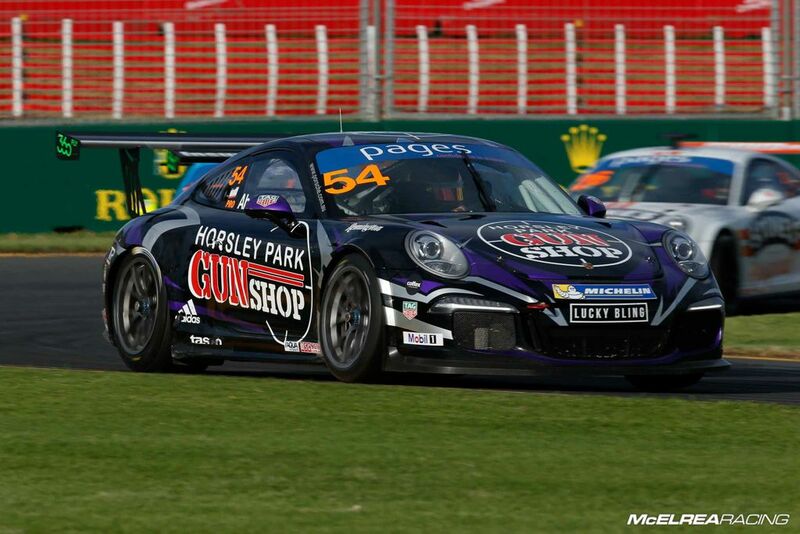 In race 3 he was doing well until being hit from behind by former V8 Supercar driver Ash Walsh which dislodged the rear bumper forcing James to pit for repairs and finished well down the order. In the last race he drove a great race with controlled aggression to make two passes in the last two laps. 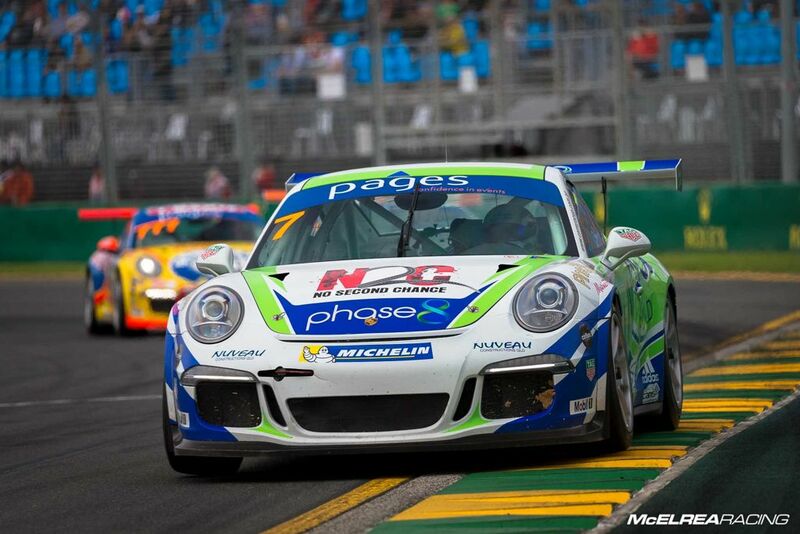 James is 11th in the Pro championship, two places ahead of the only other Carrera Cup rookie. While Shane was our only driver on the podium, there were plenty of positives to take from the weekend, and the bad luck we did have could have been a hell of a lot worse! Wallsy is 7th outright in the AGT 'Champ Class' championship and 2nd in the 'Gold Drivers Cup' and Simon is doing a great job adjusting to the Audi and currently sits 16th in the huge field of 'Champ' cars. The #AMRC (Awesome MR crew) will now be spending allot of weekends away as our championships get into full-swing with events at Phillip Island, Sandown and Sydney Motorsport Park over the next few weeks. We are looking forward to the start of the 'GT3 Cup Challenge' season at Sandown in a few weeks and hope to see you at a racetrack soon!